Canadian contemporary menswear label wings+horns has collaborated with adidas Originals to create a new collection that is based on the adidas Consortium, the statement sneaker concept by adidas Originals. Inspired by the West Point Academy football team, this collection simultaneously examines a military aesthetic, but through an athletic lens, focusing on these sport-centric elements. The resulting collection intends to convey the brute force and rugged nature of these cadets. Ease of movement is heavily considered and garments feature articulation and gusseting while maintaining the signature wings+horns silhouette. The collection is comprised of two assortments—one in which all styles are offered in grey; the second in which all pieces are black. 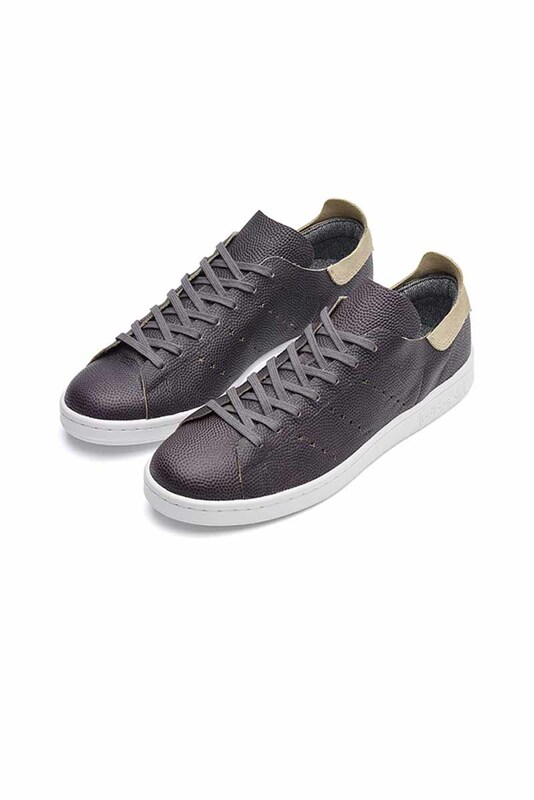 Rounding out both series is a premium, leather iteration of the Stan Smith sneaker—again one in grey and the other in black—to complement the color palette of the accompanying clothing styles. Apparel prices range from $70—for the t-shirt—to $495 for the bomber jacket. Both styles of the Stan Smith will retail for $150. Born on trips between Tokyo and Vancover in 2004, wings+horns is a contemporary menswear label integrating innovative fabrics with a Japanese approach to detail. Focused on design quality and integrity, wings+horns is inspired by the Canadian landscape and after 10 years, its products continue to be made in Canada. adidas Consortium is the statement sneaker concept by adidas Originals. It was created to showcase the brand’s heritage and offers some of the most premium, limited-edition footwear styles, latest concepts and newest silhouettes on offer from the adidas Originals moniker.